The Yankees, notorious for having the highest salaries in baseball, are facing an interesting off-season roster-wise and salary-wise. Let’s take a look at what could happen this coming winter. As of right now, the Yankee roster stands at $213 million dollars, give or take a free agent signing or so. This coming offseason though, Derek Jeter, Mariano Rivera, Javier Vasquez and Andy Pettitte’s contract come off the books along with some other lesser players, meaning roughly 64-66 million dollars are erased from the Yankee’s total salaries. That leaves the roster cost at roughly $148,000,000. At the beginning of this season, I would have said that this was Andy Pettitte’s last year; however with the year he is having—11-2 with a 2.88 ERA and his sudden closeness to the 300 win mark (240 wins and no he probably wont make 300, but if he gets 270-280, would the Hall consider him? ), Pettitte might think he has some gas left in the tank and come back. Odds are 50-50, and if he comes back figure a one-year deal at say, 11-13 million. Mariano Rivera should be an X-Man because he is obviously a mutant. Rivera will be 41 by next year’s spring training, and right now, is arguably having his best season. His ERA is an absurd 0.98, or to put it another way, his ERA+ is a freakin’ 416. His WHIP is .627 and he averages a preposterous 4.2 H/9. Obviously, if he wants to come back, the Yankees will have him. Figure roughly the same 15M he made this year (though they should pay him whatever he wants). But does he want to come back?. If the Yankees win the World Series, my bet is he rides off into the sunset. Almost makes you not want the Yankees to win it all. Javier Vasquez is an interesting case. He buckled at first in the Stadium, then came back to pitch really well until this past Wednesday. His returning depends on both what Vasquez does for the rest of the year—especially in the playoffs—and whether Andy Pettitte retires. The Yankees do need starting pitching, especially if Pettitte retires. My guess, if he doesn’t crash and burn, they sign him to a similar contract that he has now. 2 years, 12 per. Counting the arbitration raises for Hughes, Joba and so on, as well as the raises to Teixiera, Cano, Swisher and —God Help Me—Granderson—should the above guys sign at about where I suggested, the Yankees payroll would be.........about exactly where they are now. 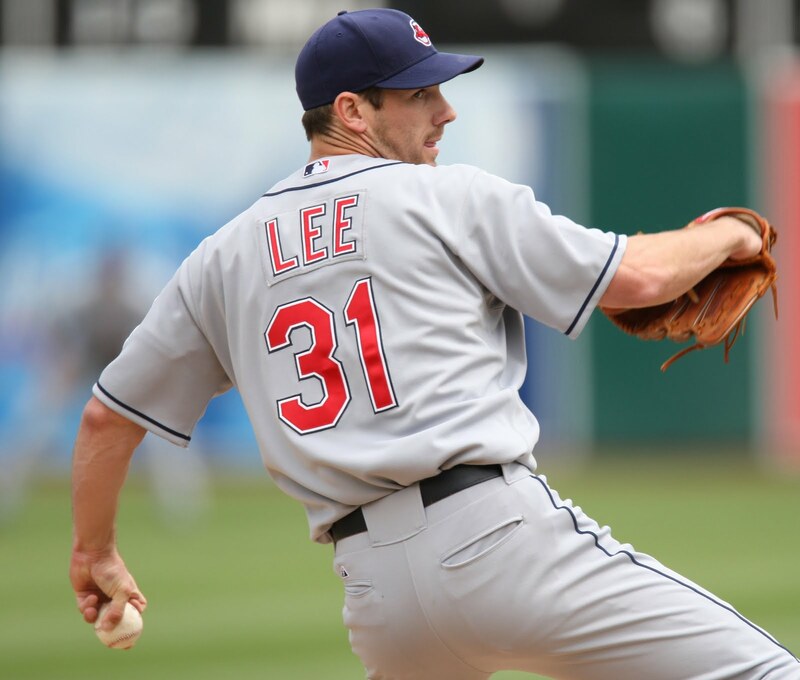 The Yankees have to be in the Cliff Lee JackPot Sweepstakes. With the unreliability of Burnett, the possible retirement of Pettitte, the potential leaving of Javier Vasquez (he has said wants to be closer to his family in Puerto Rico) and the relative youth of Phil Hughes, the Yankees need a rock. They need Cliff Lee. But to get him, the Yankees will have to dump salary. Or they could go to their farm system. The Yankees do have a prospect in AAA, a talented starter named...Kei Igawa. Ha! Gotcha, just kidding. His name is Ivan Nova, and he follows the Brett Gardner method of advancing in baseball—Get promoted to new level, struggle the first year, succeed in the 2nd year, then get promoted to new level. Nova might be on the 2011 roster in the worst-case scenario of Pettitte and Vasquez leaving, but only as a spot starter/reliever—the Yankees would never trust him right off the bat to fulfill a starter role. Frankly, the Yankees don’t have anybody would could walk in from their minor league system and start. Assuming the Yankees sign Cliff Lee, he pushes Burnett to the 3-spot and Hughes claims the 4th spot. Who would the Yankees put in the 5 spot? If it’s not Ivan Nova or another rookie, they sign a free agent. But who? Brett Myers? Jason Jennings? Jeff Francis? Josh Fogg? Vicente Padilla? The pickings aren’t so hot, once you get past Lee. And remember, the Yankees, under their new management actually have have a budget—remember they couldn’t sign Johnny Damon last season because they couldn’t afford within the confines of their budget. Seriously. Maybe they go with Joe Girardi’s pet project—Sergio Mitre. Or maybe Alfredo Aceves—assuming he can make it make from his lower back aerosolizing into dust. And considering signing Lee will take an aircraft carrier full of money, pushing the Yankees to their budget, they might need to find a very cheap alternative. Just think, taking Vasquez and Pettitte off the books, and the Yankees have about 22 million dollars to play with—or roughly what the Yankees would have to give Lee to get him. So, this begs the question, would the Yankees trade Damoso Marte, and go with Boone Logan as their lefty reliever, saving 4 million? Or how about trading Nick Swisher—especially while he is batting so well and getting good prospects in return—and sticking Jesus Montero out in RF, and saving 9 million? Yes, it sounds far-fetched, but with so many gargantuan contracts on the Yankees, and potentially another one in Lee, it leaves little for the rest of the roster. And that leaves the Yankees trying to fill holes with rookies or journeymen. It will be interesting what the Yankees decide to do. Cliff Lee would look dandy in pinstripes. It's disturbing to think of the Yankees without Rivera.